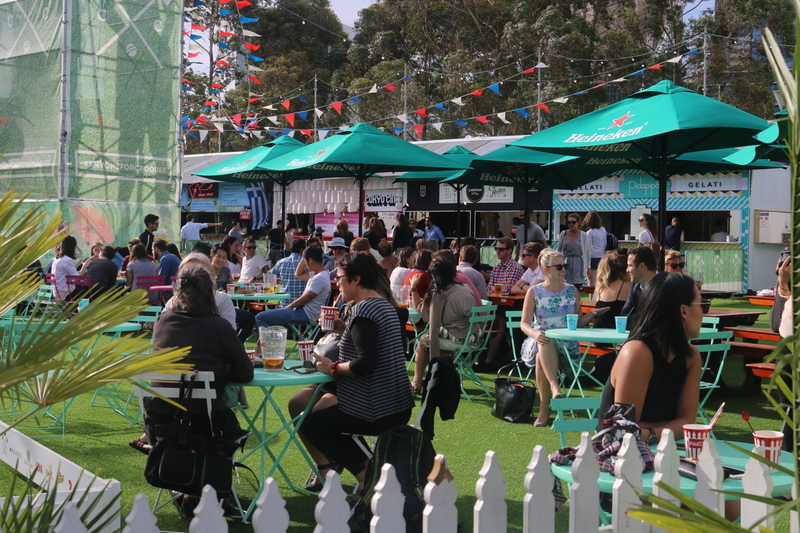 The Royal Croquet Club is a summer festival at Birrarung Marr of food, beverages, beats and croquet of course. Today is the last day so grab some friends and head on down. 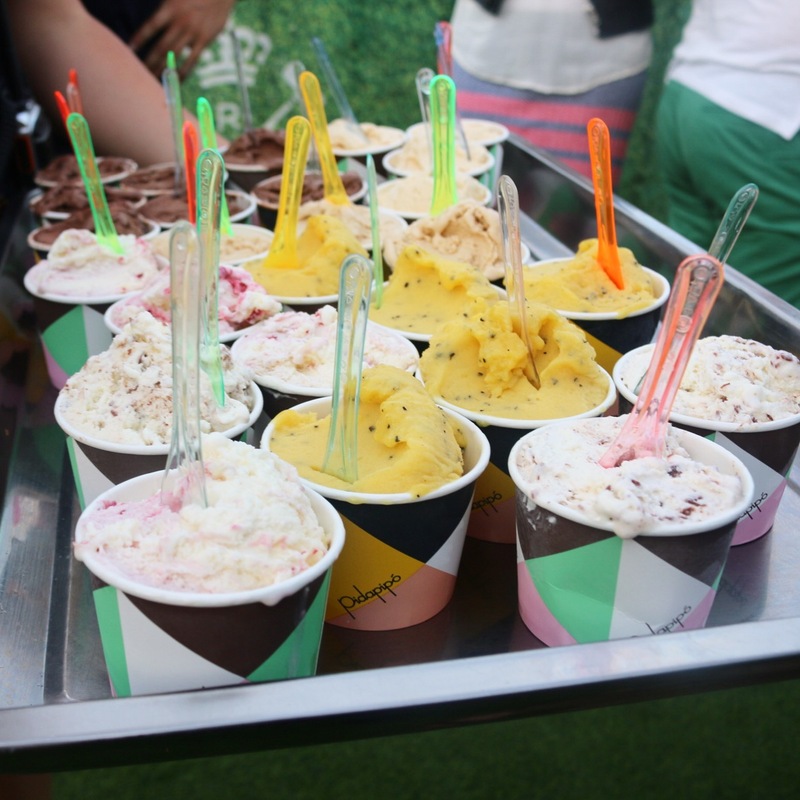 It was a beautiful summer setting with loads of fake grass and cute seated areas. 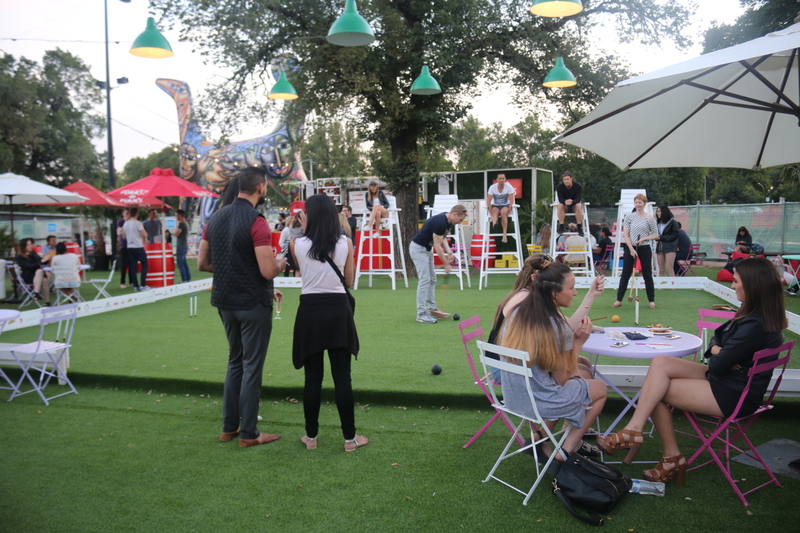 Here are some people playing croquet.There were a few more croquet sets this year which was great so more people got a chance to play. It’s been super hot in late so beverages were in order. 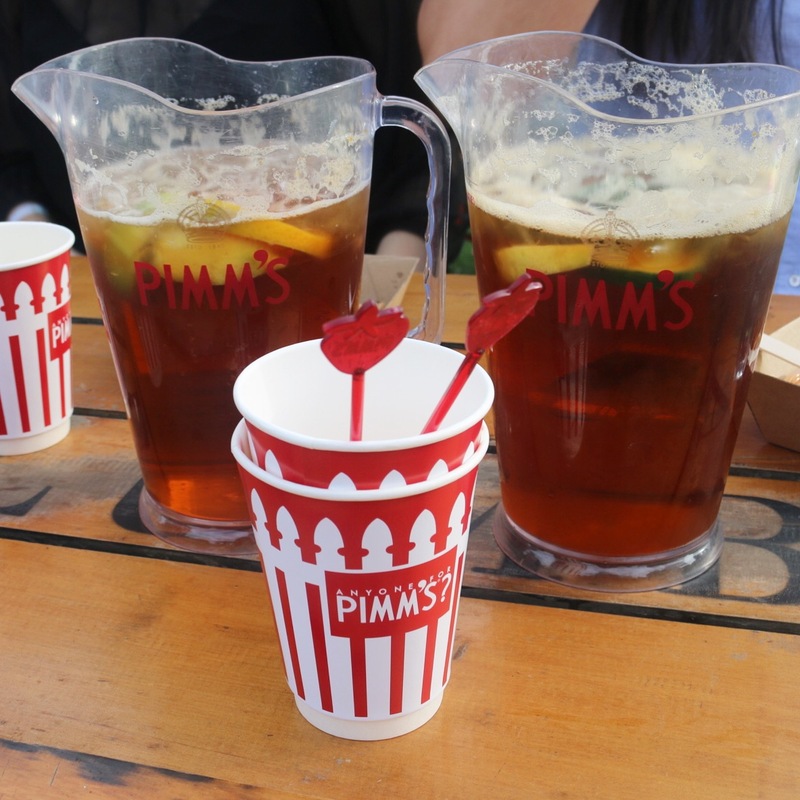 They had a lovely range of Yalumba wines and Jugs of Pimms to share with your mates (or drink all to yourself, whatever, no judgement). There was also a captain Morgan’s bar serving the best spiced rum. 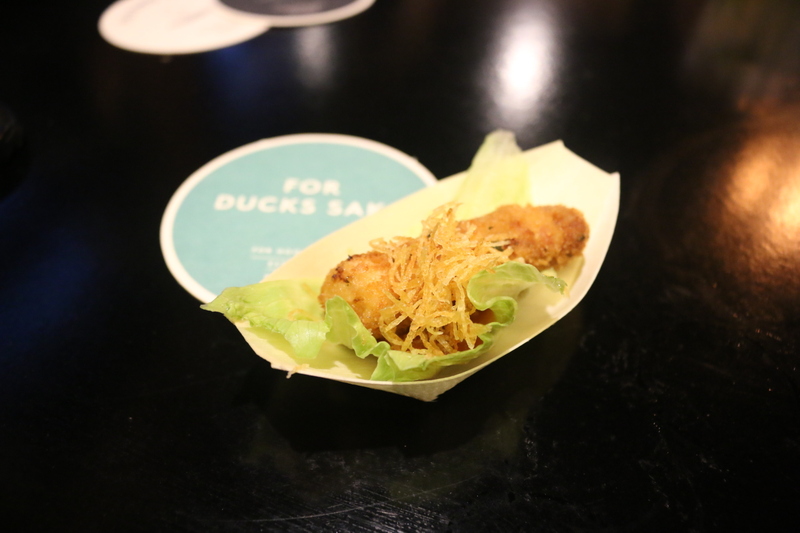 Ruyi had their crispy chicken bites with sweet honey wasabi sauce. The sauce had a good wasabi punch. Yum! From Gazi we had the saganaki croquette which was like a stick of saganaki crumbed and deep fried. So good! 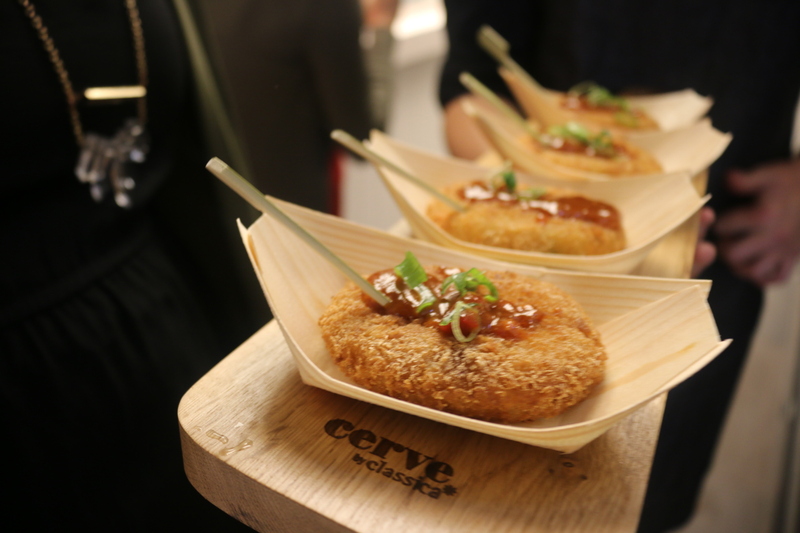 The fried cheese was paired with a peppered fig dipping sauce that was savoury and sweet. 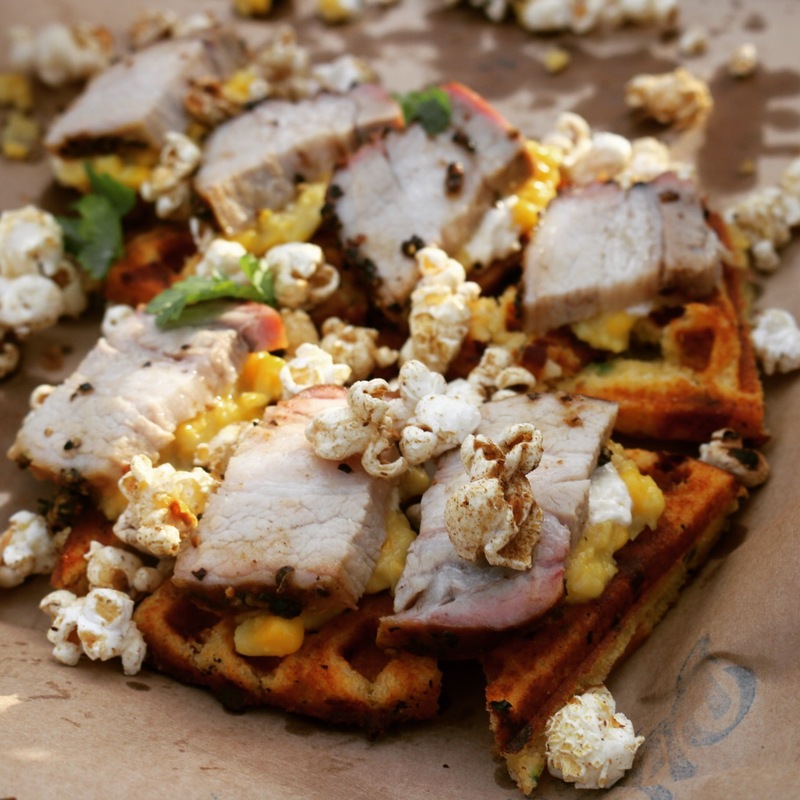 Bluebonnet BBQ were serving cornbread waffles with smoked pork belly, creamed corn and porcini popcorn. 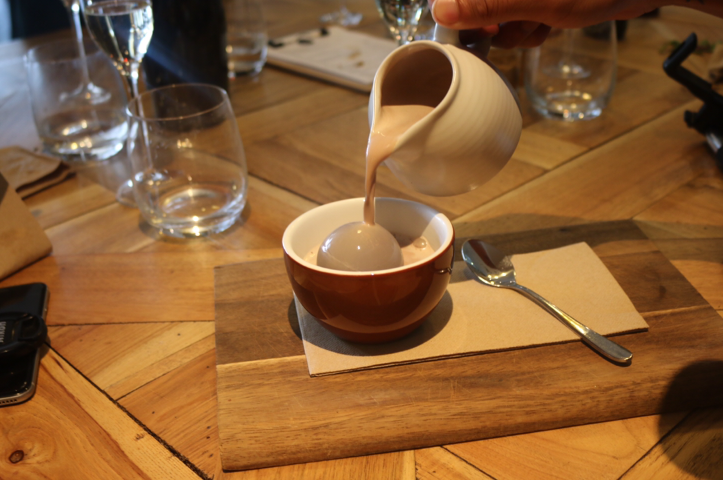 This looked amazing was delicious. 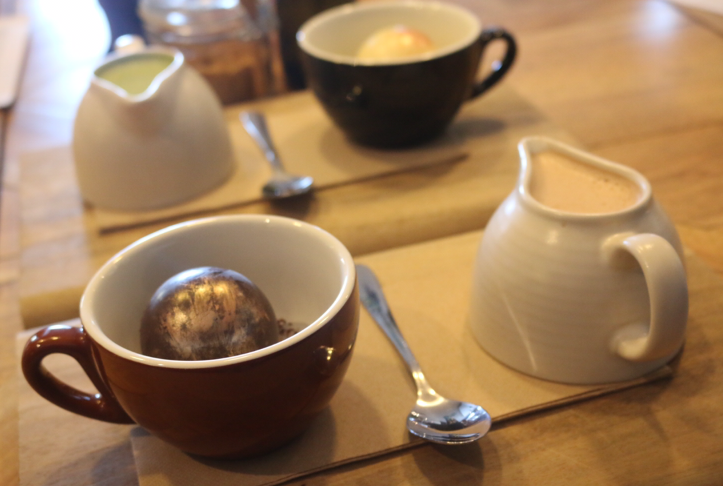 It was an interesting combination of flavours and textures. It was great. 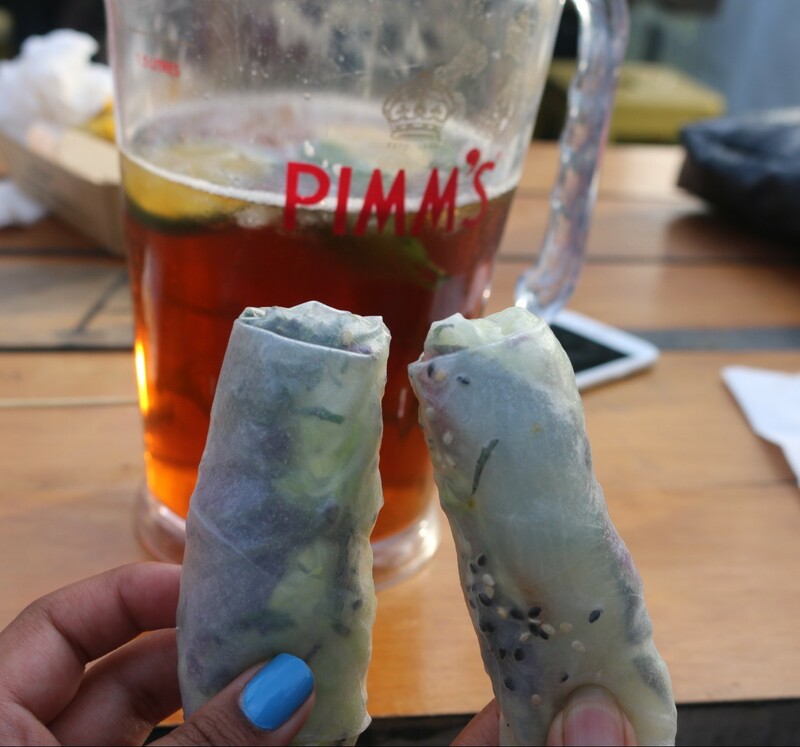 The Kingfish rice paper rolls from Tokyo Tina, were simple and fresh. They came with a nice plum dipping sauce. 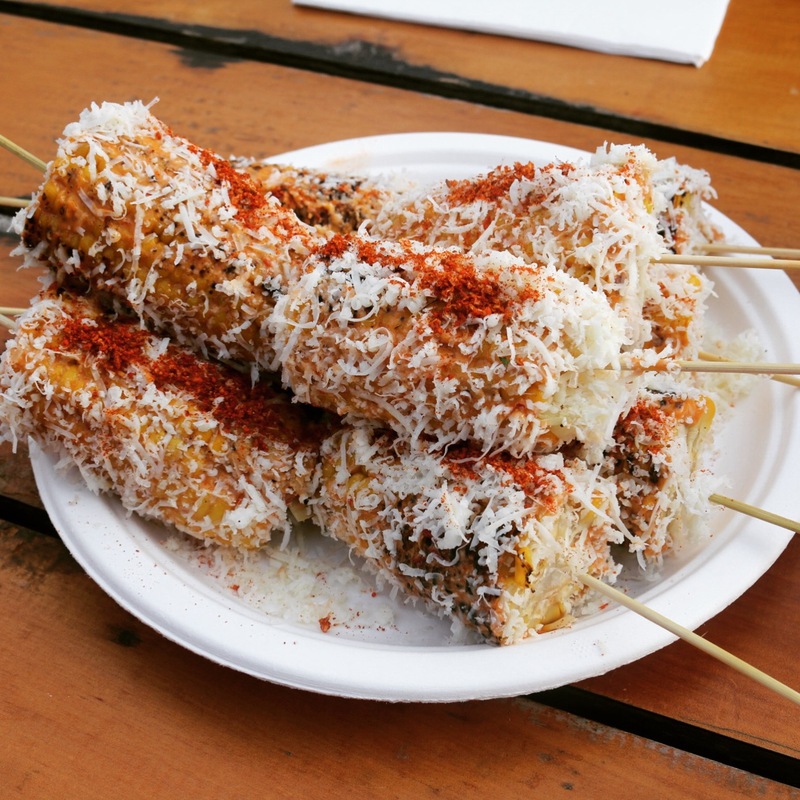 Mamasita corn is the best kind of corn. 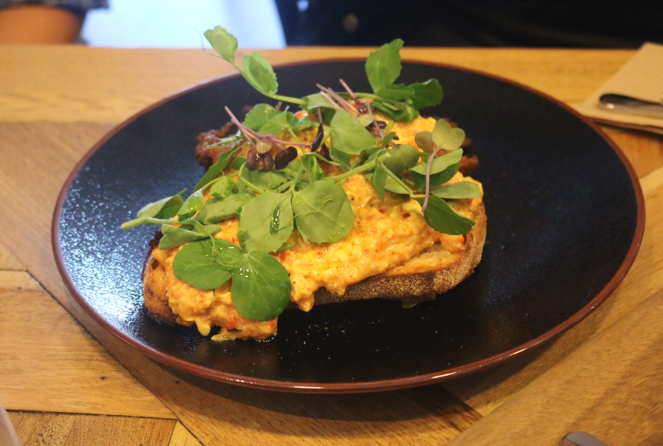 It is slathered with cheese, chipotle mayo and paprika. It was spicy and creamy and amazing. Love. Today is the last day of the event so head down. Perfect weather for it! 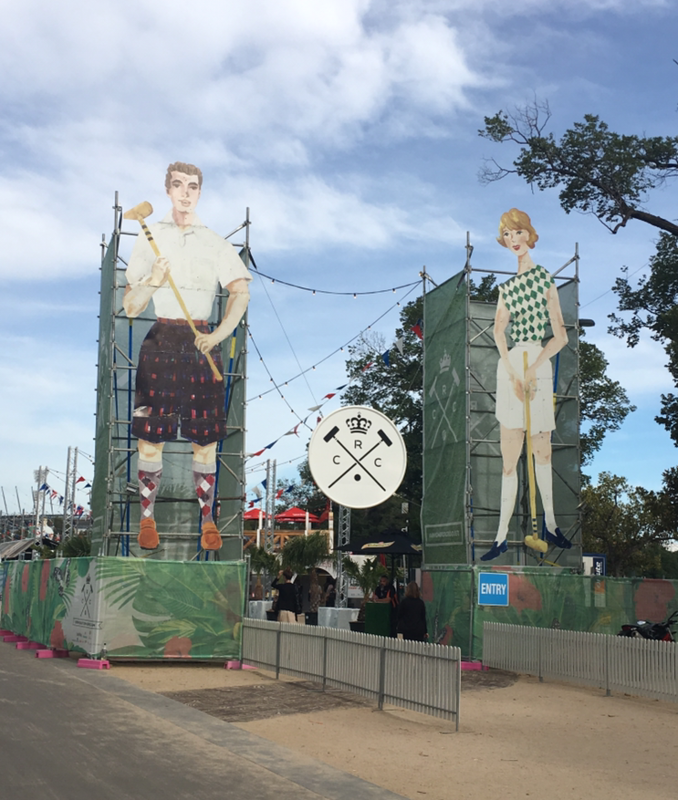 Note: Olive Sundays was invited as a guest to the Royal Croquet Club. 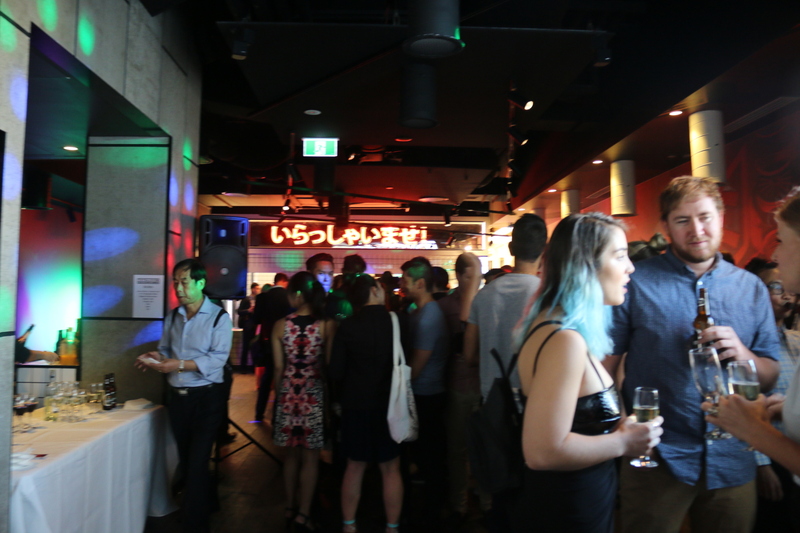 Tetsuijin is a new Japanese restaurant opening in the Emporium and they have lots to be excited about. 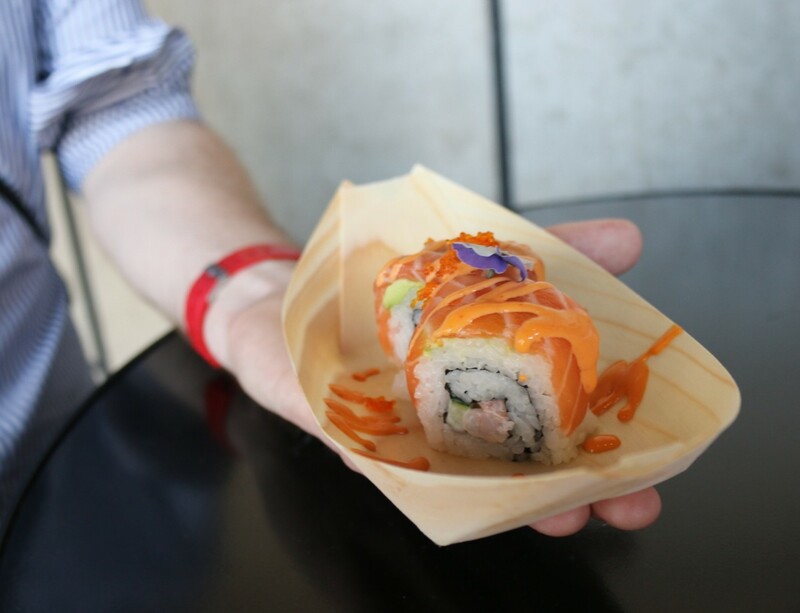 We’re talking a sushi train, robata BBQ grill and ultimately some brilliant Japanese food. For the launch this space was transformed into a dance floor but will obviously be filled with tables and chairs when it opens tomorrow. 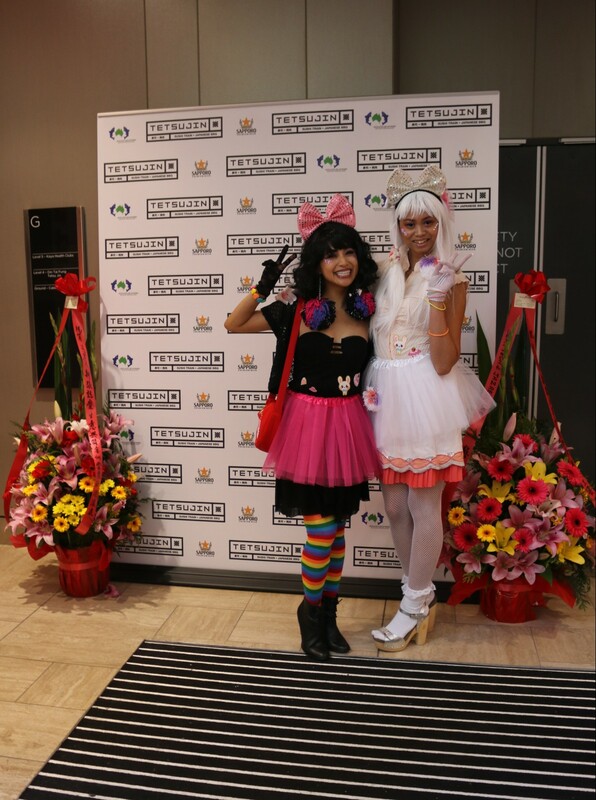 We were greeted with these girls. So cute. This was the sushi train area. 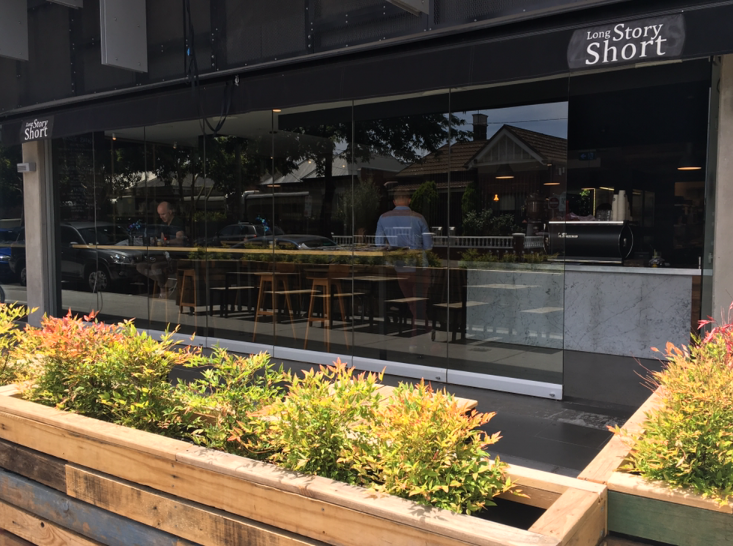 The restaurant is fully licensed so you can enjoy alcoholic beverages with your meal if you so choose. Oysters were in abundance. 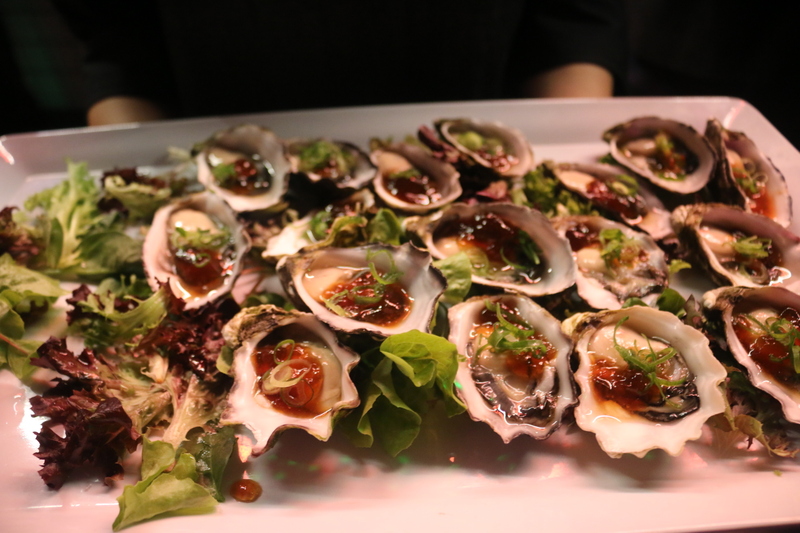 They were tasty with a tomato oyster gel and fresh spring onions on top. 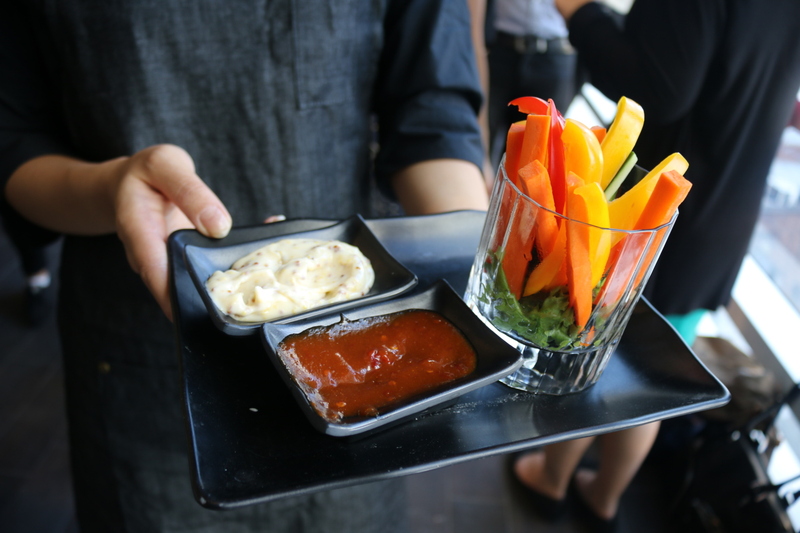 They had some crunchy vegetables with dip for starters. 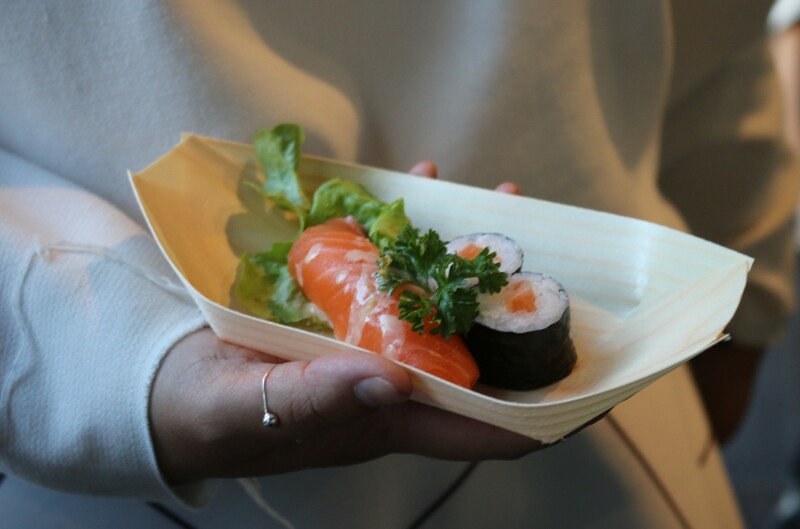 They had a range of sushi that was cleverly put together with salmon both rolled inside and placed on top. 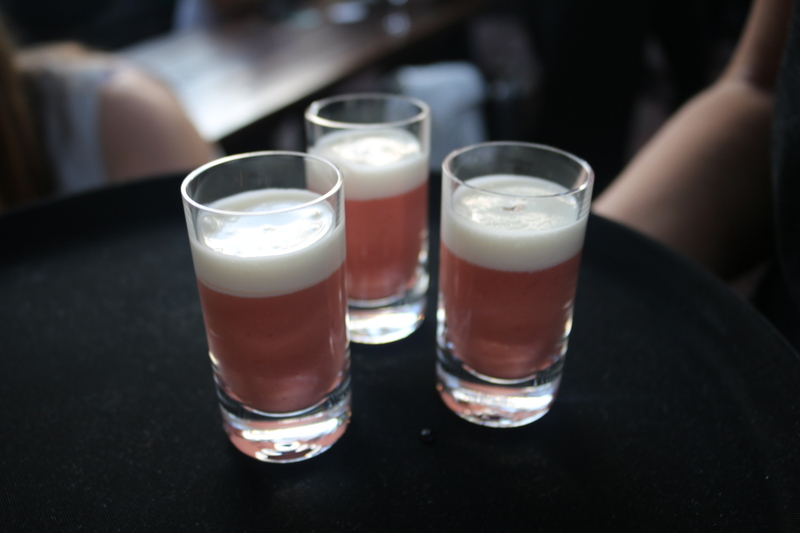 These ones were pretty with edible flowers. 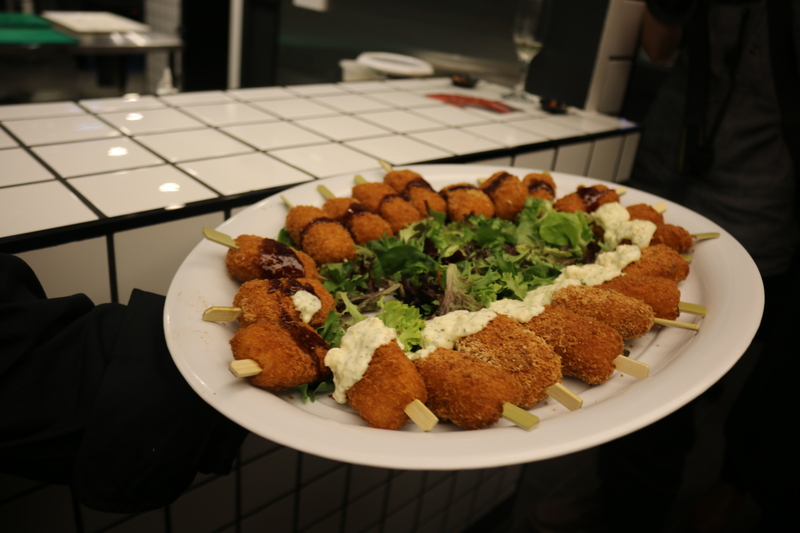 They had potato croquettes on pops so they were easy to eat. Some of them had a creamy mayo sauce and some had a soy dressing. 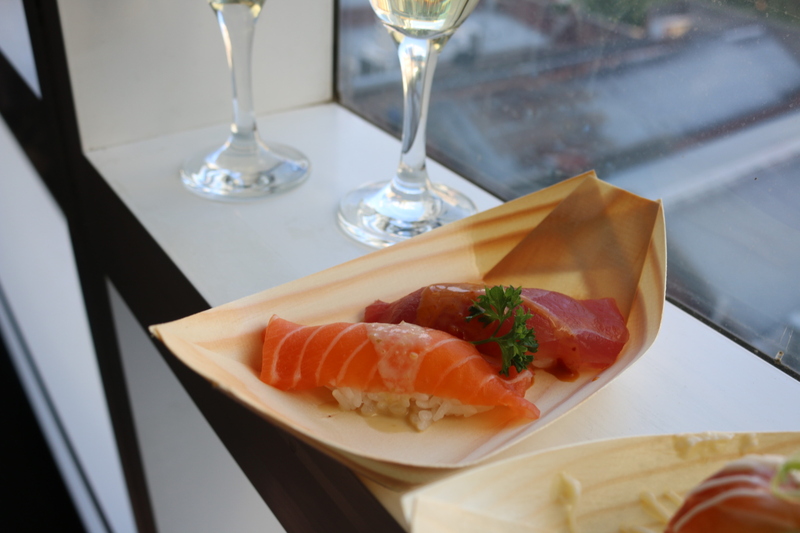 Salmon and Tuna nigiri with a glass of wine. Perfect! The seaweed inari was nice. They were thin tofu pouches filled with seaweed. 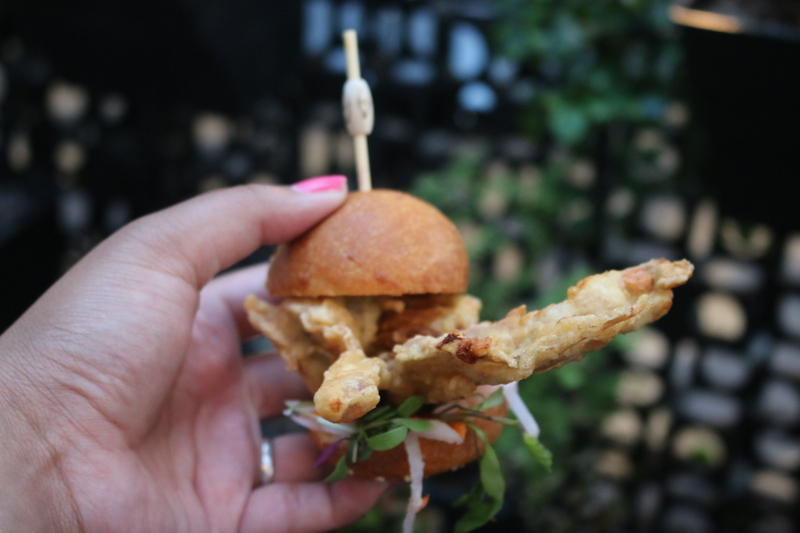 I liked the fried crab claws, they were filled with shredded crab meat and were battered in crispy panko crumbs. They were sitting in a tomato based sauce with pesto on top. They had little pork buns which I didn’t get my hands on but the meats were on display, which they would cook on the robata (Jap charcoal) BBQ grill. This salmon starter was yum. 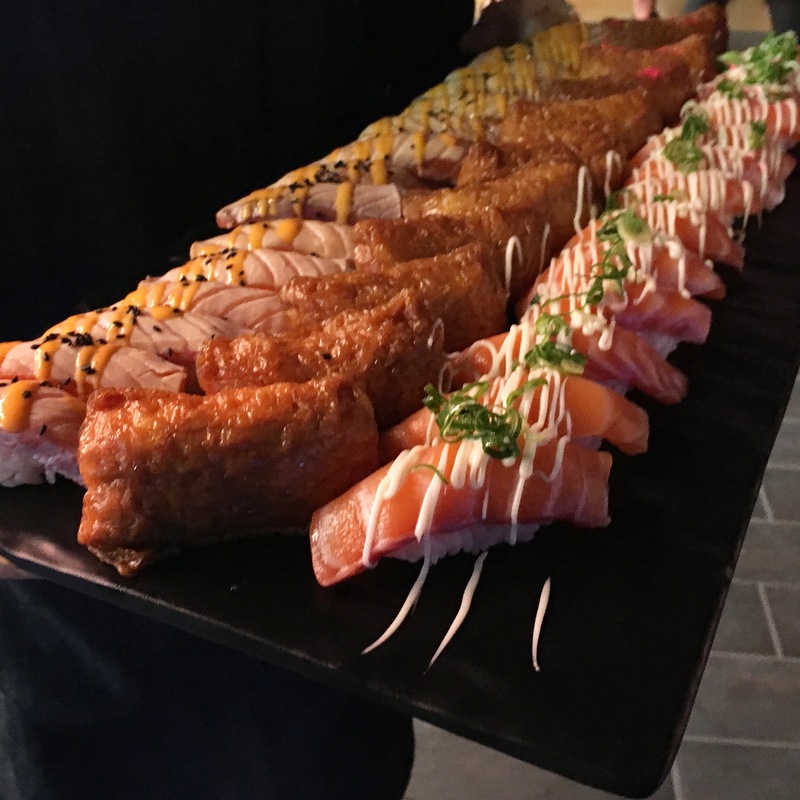 Two mini salmon sushi and a salmon nigiri. 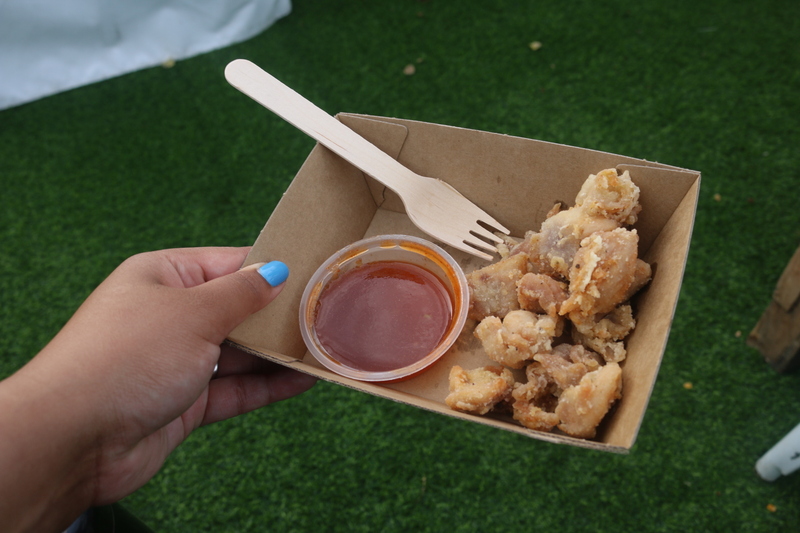 The octopus balls had chunks of octopus inside and were fried in a tempura batter. 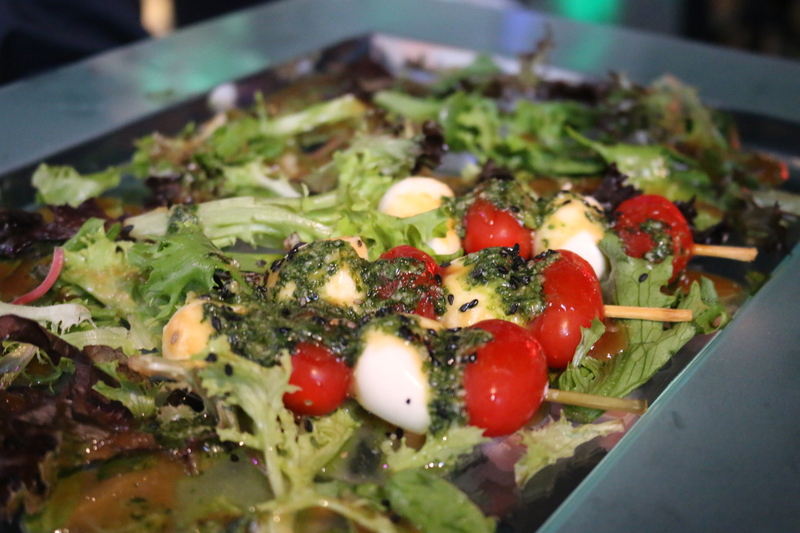 These skewers were tasty, they were sweet cherry tomatoes, mini balls of bocconcini dressed with a basil sauce. Yum! 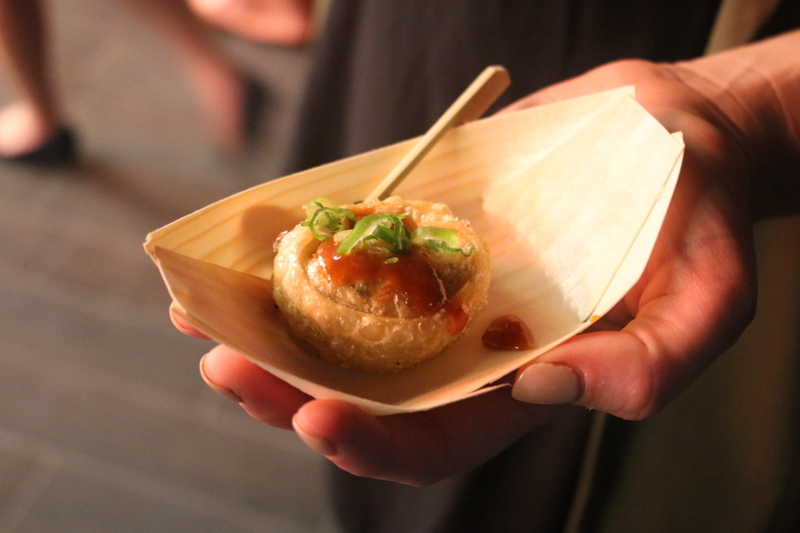 These little delights were deep-fried and were filled with mushrooms and glass noodles. These vegetarian patties were filled with potato and had a spicy sauce drizzled on top. You can understand why this assorted plate of sushi was eaten in a matter of seconds. It came out, I took one photo and then they were gone. 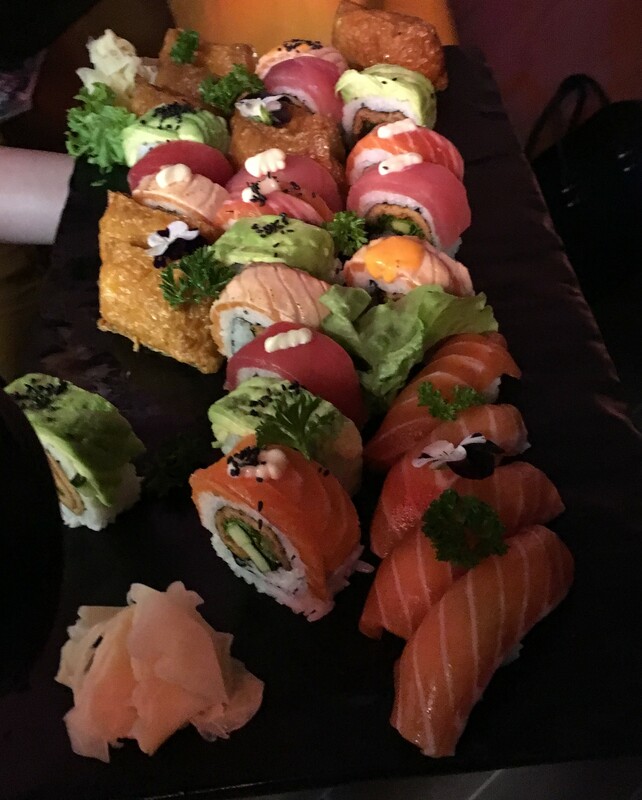 There was a variety of different sushi served on the night. All delish. 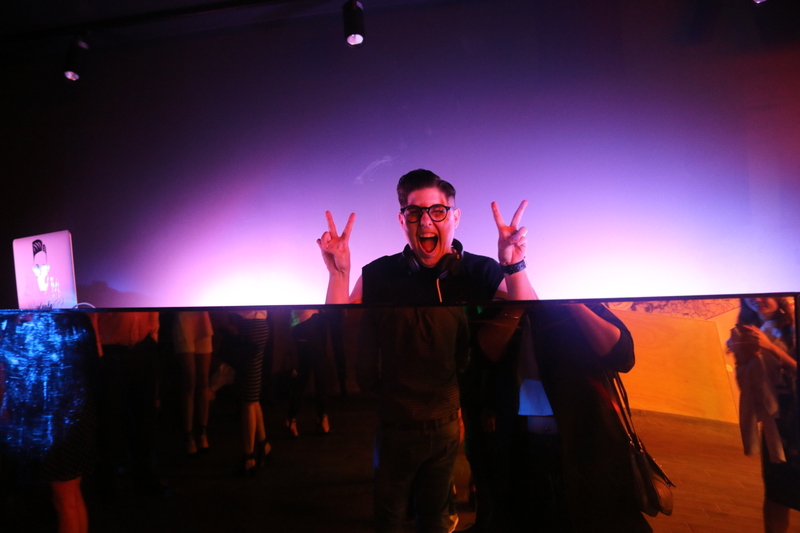 At the launch they had Japanese wallpaper and Yo Mafia playing beats all night. 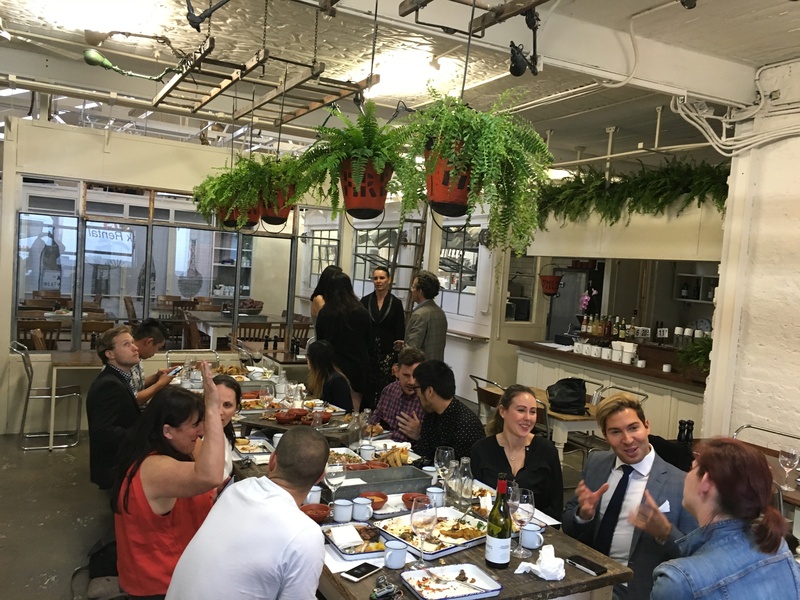 Tasty food and lots of dancing. 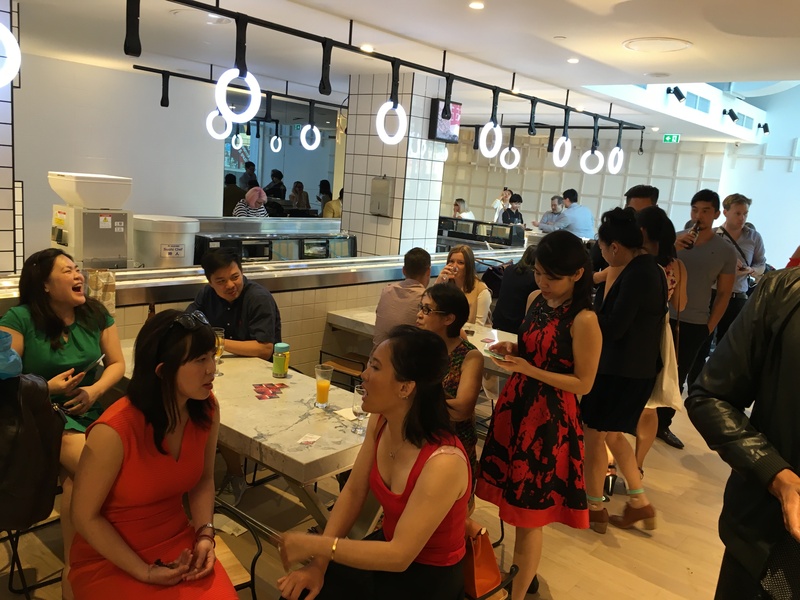 Tetsujin opens tomorrow on the 4th floor of the emporium next to Din Tai Fung or you can enter via a lift on Caledonian lane. Be sure to check it out. Kanpai! Note: Olive Sundays was invited as a guest to Tetsujin. 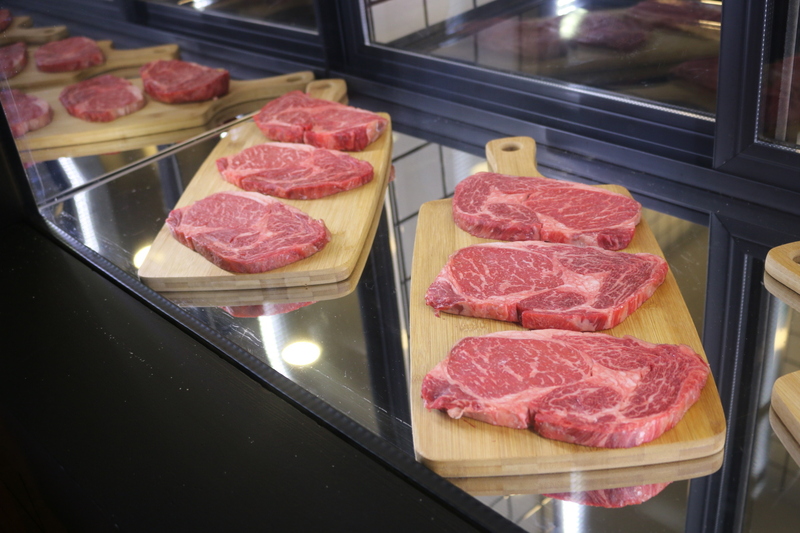 At Meatworks they love their meat and whether you like it slow roasted, braised or smoked, they will deliver the goods. 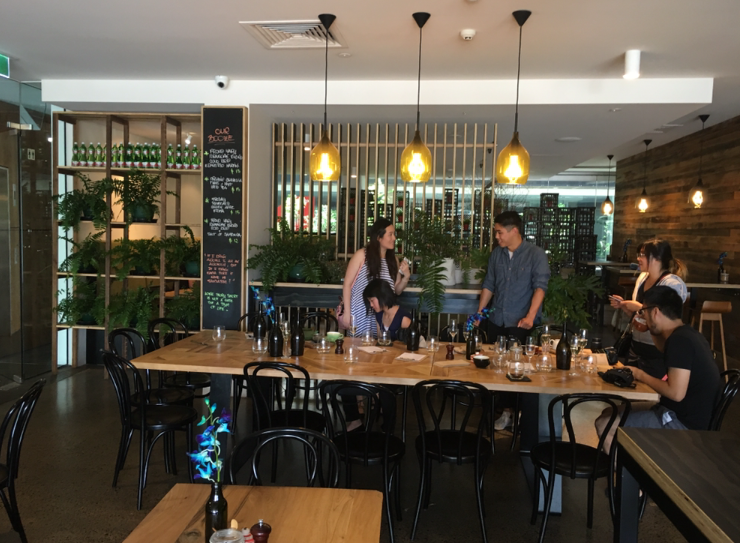 They serve rustic home-style dishes in their South Melbourne restaurant and have an in-house wood smoker. Meat lovers ahoy! 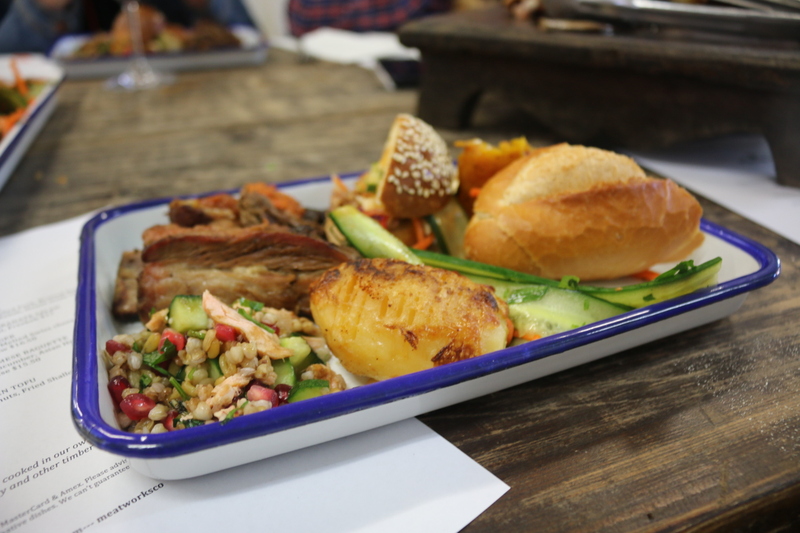 They do a smoked meat platter, they also smoke some of the vegies and do a smoked custard for dessert. Lots of deliciousness. The entrance sort of looked like a big garage warehouse and inside it had a minimalist industrial look with lots of light. 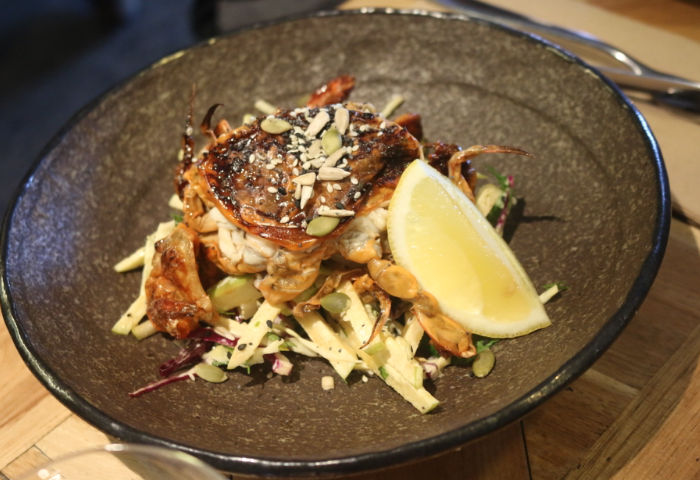 While they know their meat, it’s not all just about meat dishes. We tried the spicy silken tofu with smoked pumpkin, zucchini, spiced peanuts, fried shallots and coriander it was delicious. 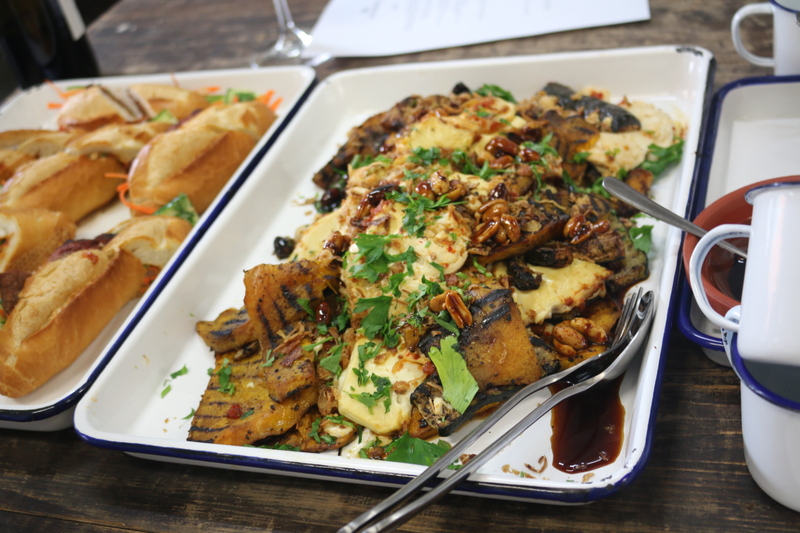 The tofu was soft and smooth, the veg was roasted perfectly and the peanuts added crunch. 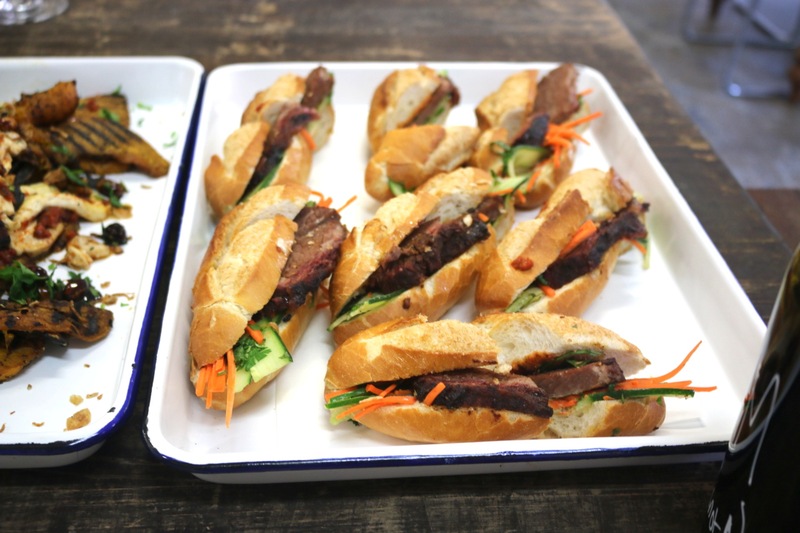 They had Vietnamese baguettes with 10 hour smoked brisket (so juicy and tender), pickled carrot, cucumber, Asian herbs, fresh chilli and kewpie mayo. 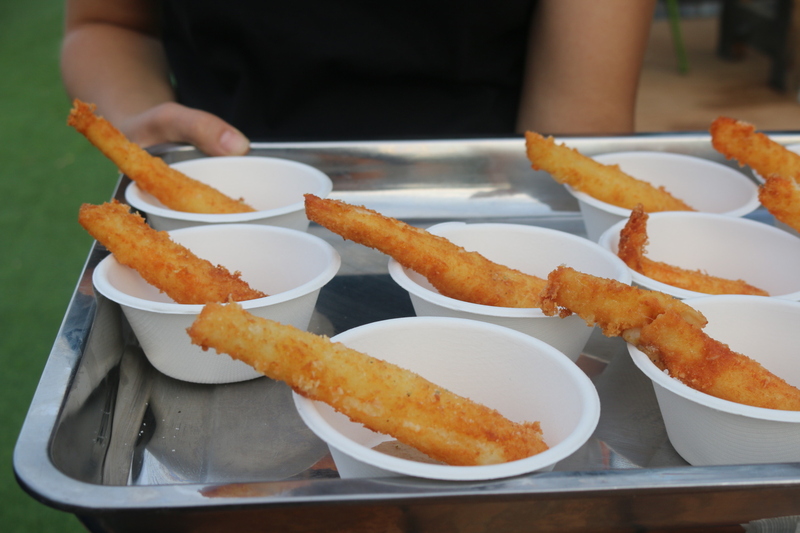 They were fresh and flavorsome. 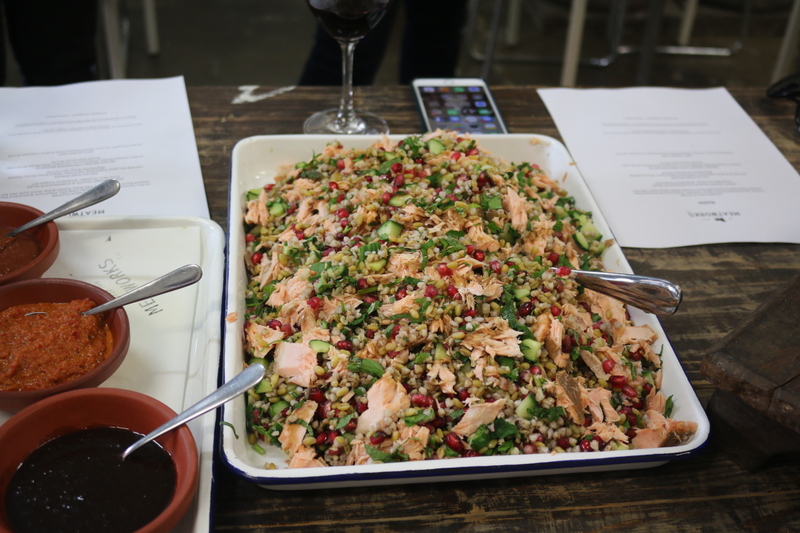 The sweet smoked salmon salad was amazing. 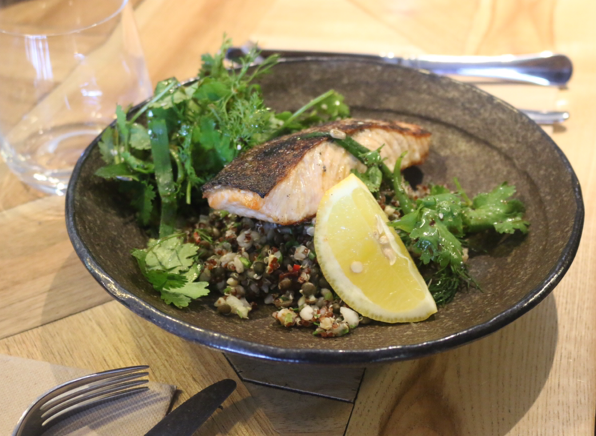 It had chunks of flakey salmon that was delicious on its own. Then it had fresh mint, cucumber, buckwheat, freekah and pomegranate. It was sweet, salty, smoked, delicious! Loved it. 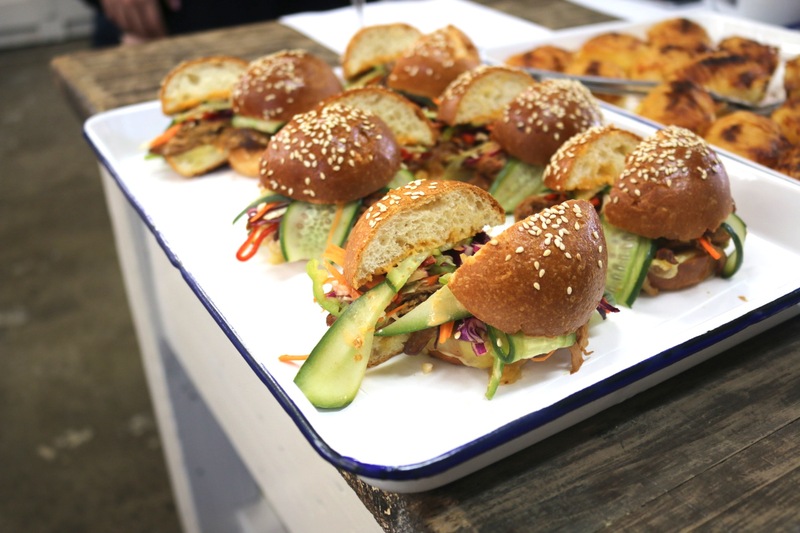 The pulled pork sliders, which were little buttery buns with a generous amount of pulled pork with pickled veg and spicy mayo. Delish! The meat platter was a sight to see. 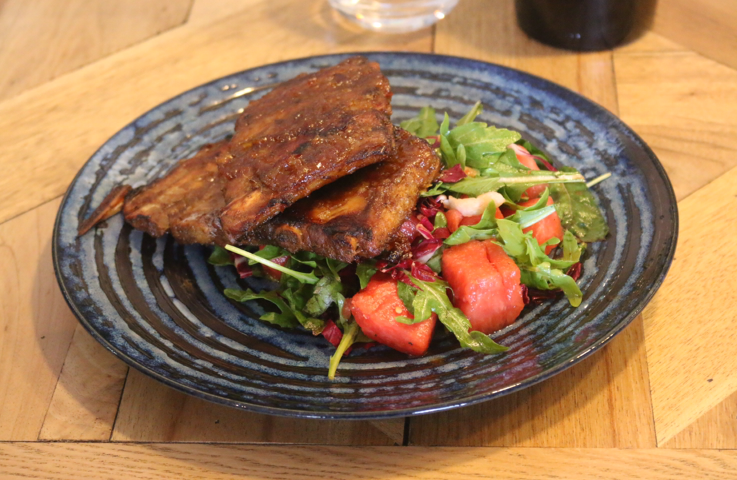 It was a wooden board packed with all things meat. 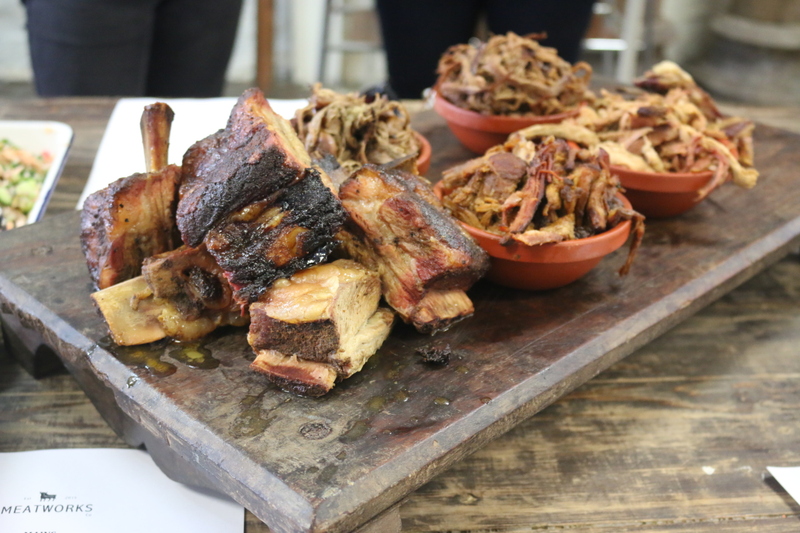 There was 10 hour smoked pulled brisket, sticky balsamic lamb ribs, pulled pork and mammoth braised beef ribs. All of the smoked meat was smoked in house and the meat was beautiful and tender. 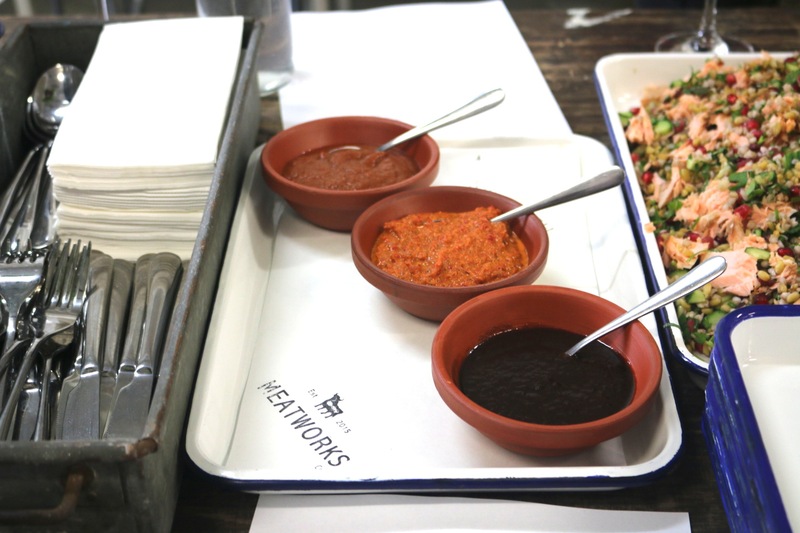 They had a trio of homemade sauces, they had a tomato relish, BBQ sauce and a chilli sauce which wasn’t very hot but was full of chill flavour. To accompany the meat there was some delicious sides. 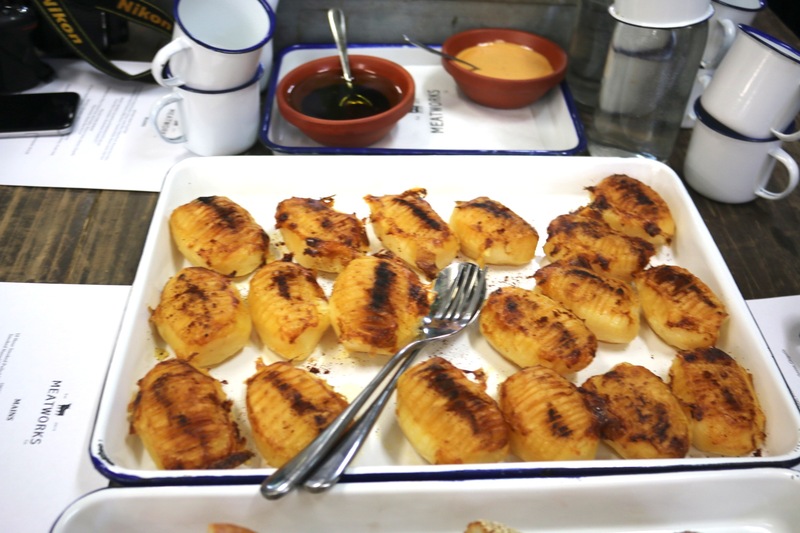 The hasselback potatoes were tasty. They were smoked and roasted perfectly, buttery and soft with a bit of crisp on the outside. The cucumber salad was a great side dish. 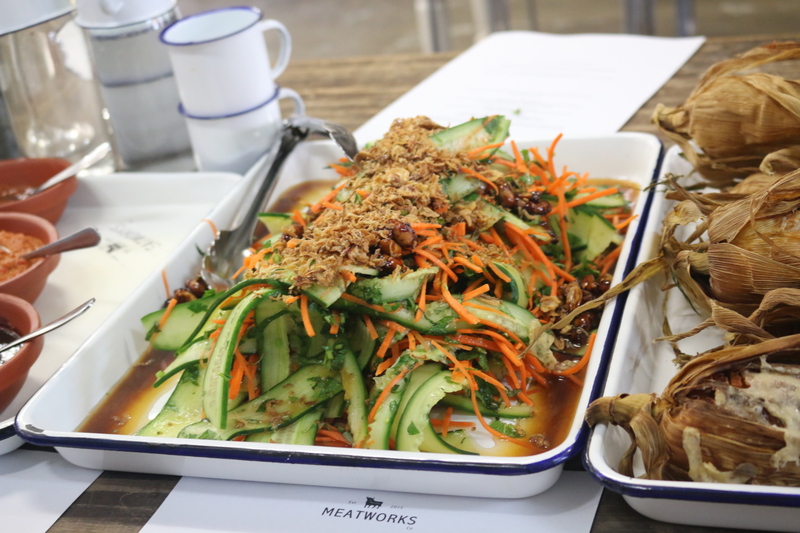 The cucumbers were pickled in house and had carrots, crunchy peanuts and crispy shallots with a balsamic dressing. 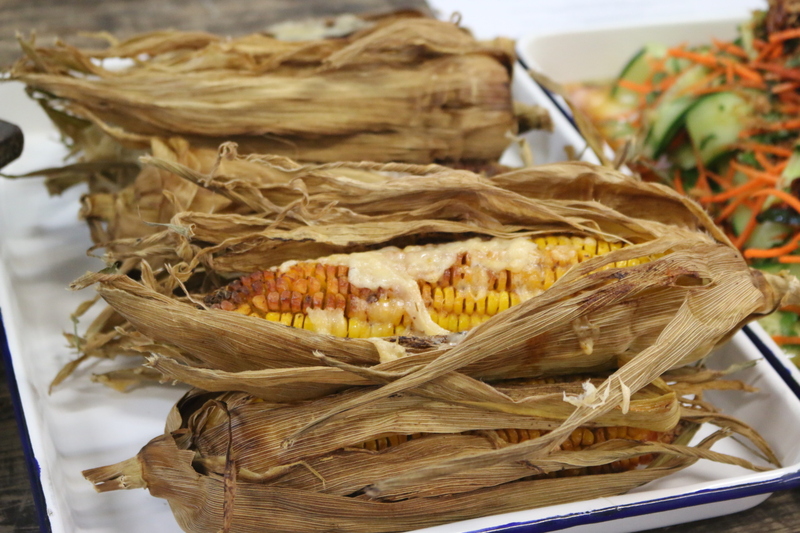 The smoked corn on the cobs looked rustic, roasted in their husks. 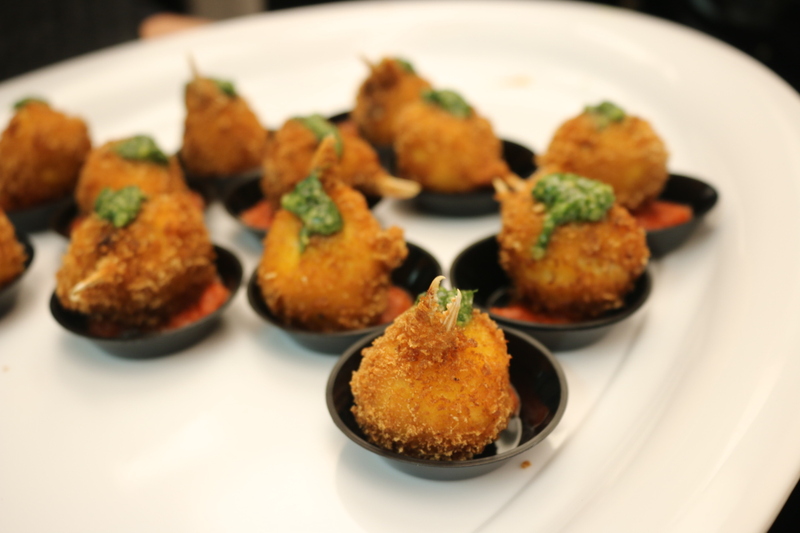 They looked great and were dressed with parmesan cheese and chipotle mayo. 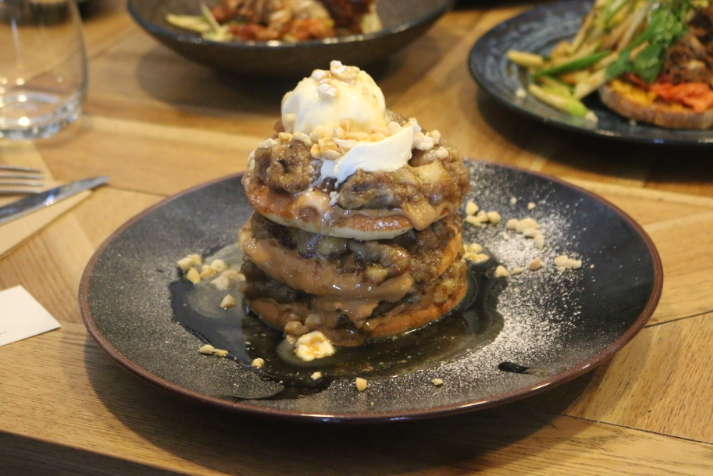 Meatworks has a lovely range of dishes on the menu and they know how to put on a feast. 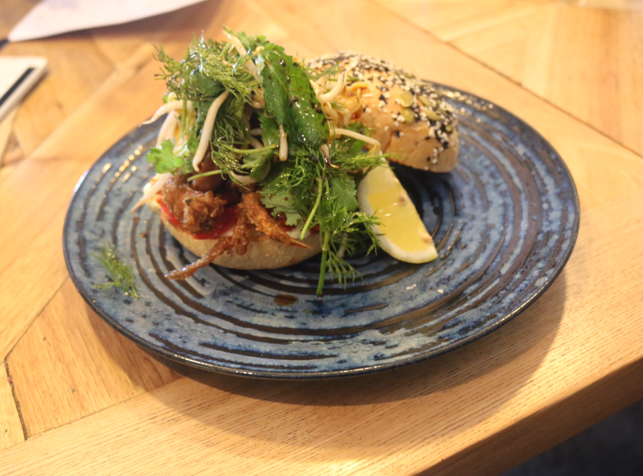 The food is flavoursome and comforting. 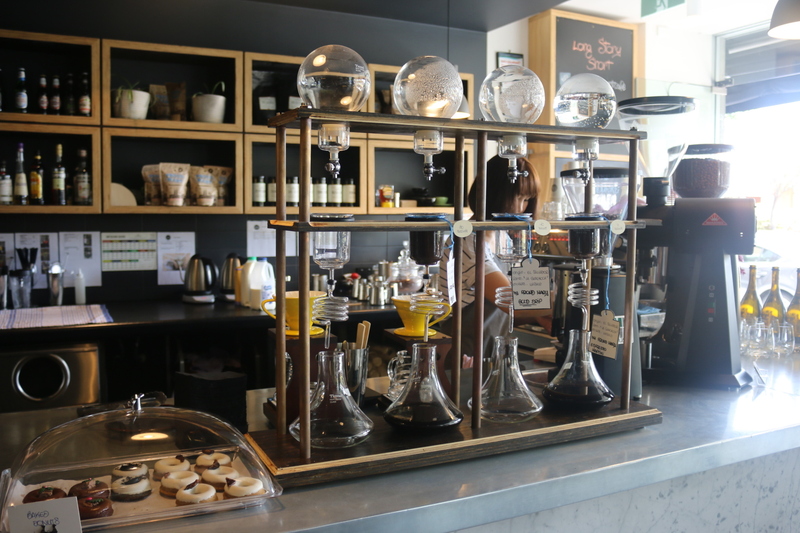 And despite the name, vegie lovers would enjoy this place too. It’s great for a heart-warming homestyle meal. 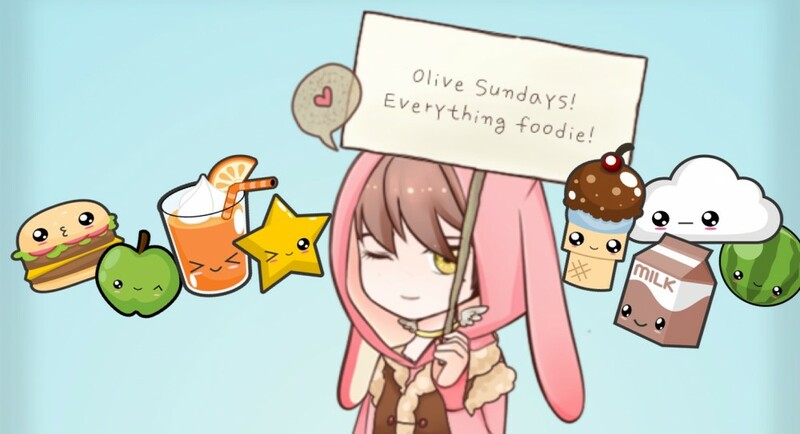 Note: Olive Sundays was invited as a guest to Meatworks. The flying duck hotel has been around for many years in fact it first opened in 1868. 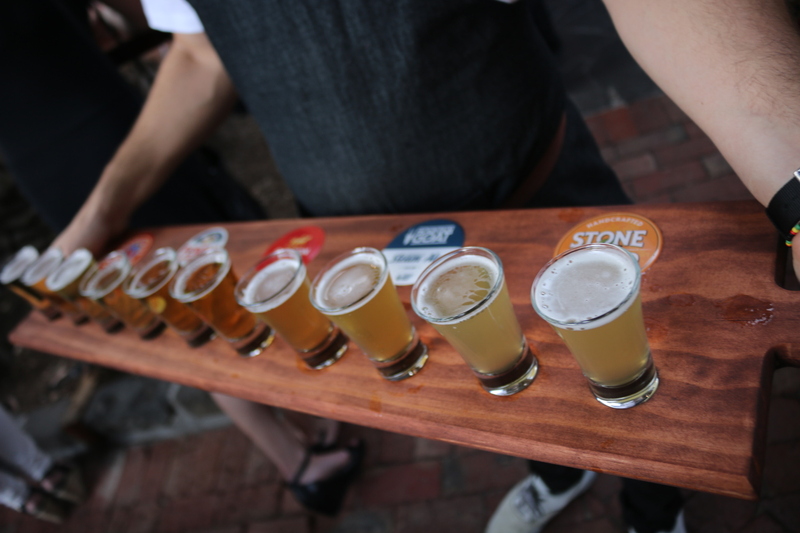 It has a beautiful beer garden and an open terrace. 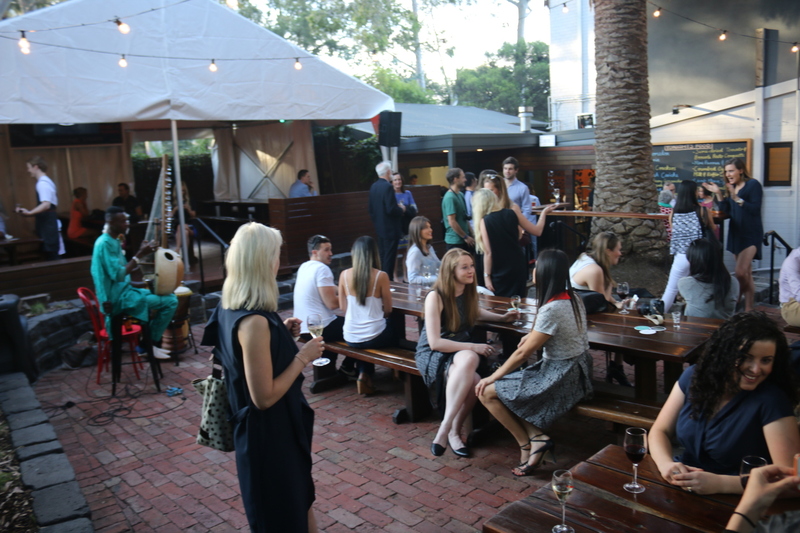 We were there for the re-launch, where they showcased the beautiful space and introduced their new chef. Lots of beverages and lots of food. It’s where you want to be on a hot summers day. 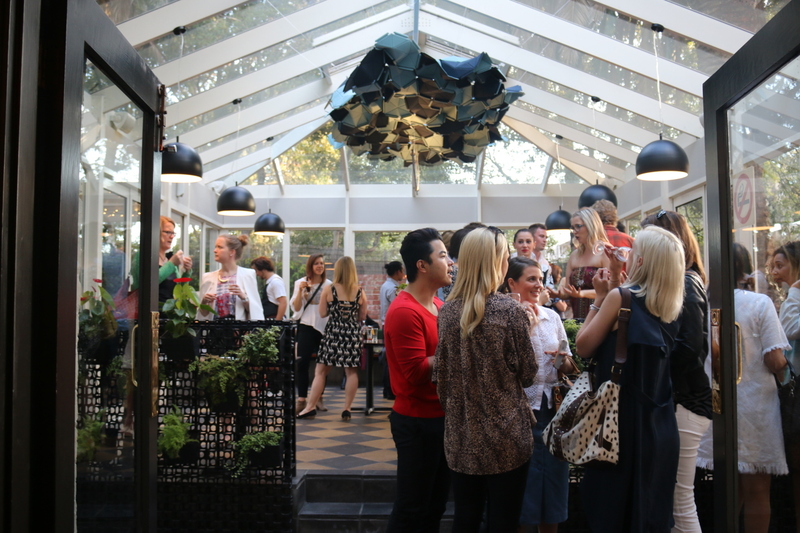 It had a relaxed vibe and lots of beautiful outdoor space. 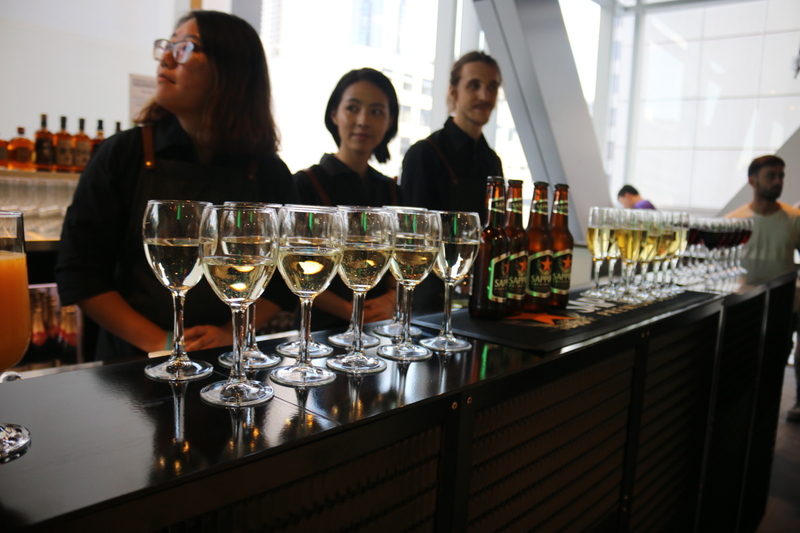 They have an extensive range of beers and wines, which is always a plus. 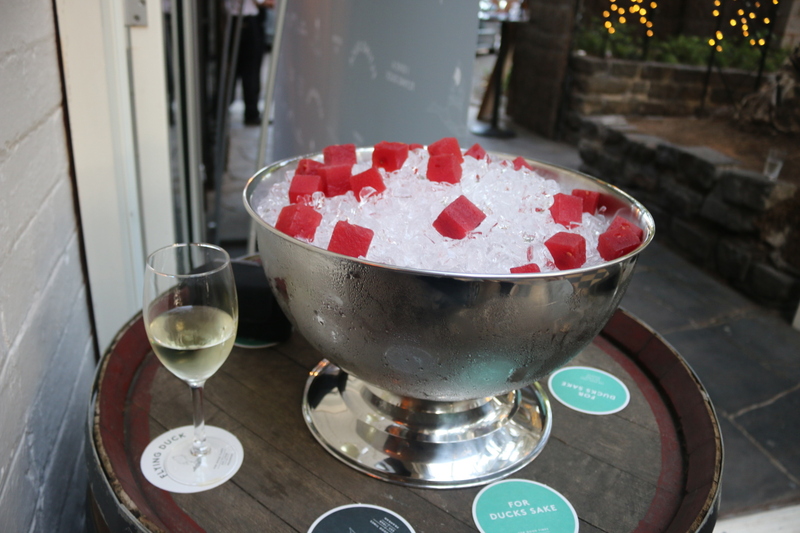 They had big bowls of ice with squares of watermelon sangria. Fruity, red wine soaked watermelon pieces, they were refreshing and sweet. 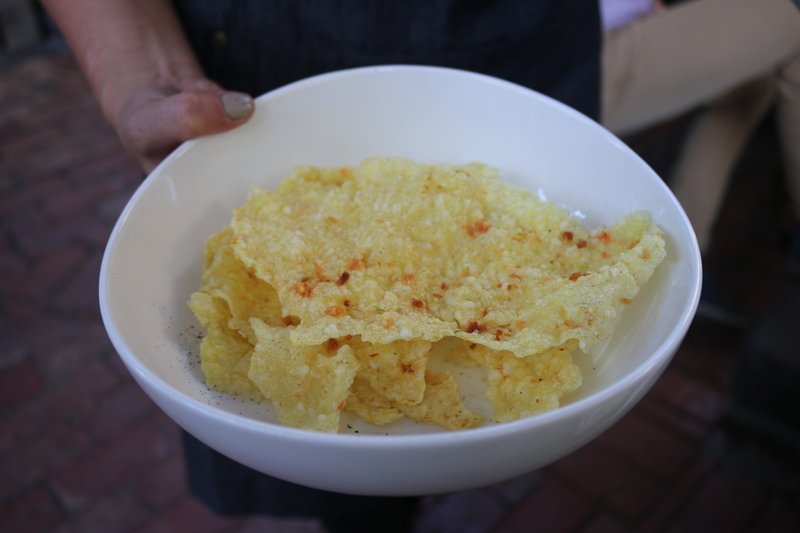 They had these homemade prawn crackers that were tasty. All shapes and sizes. 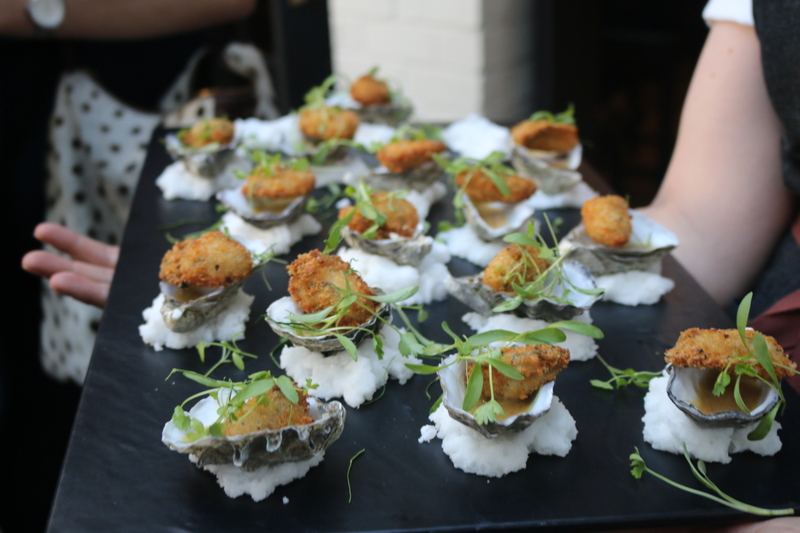 The crumbed oysters were my favourite. 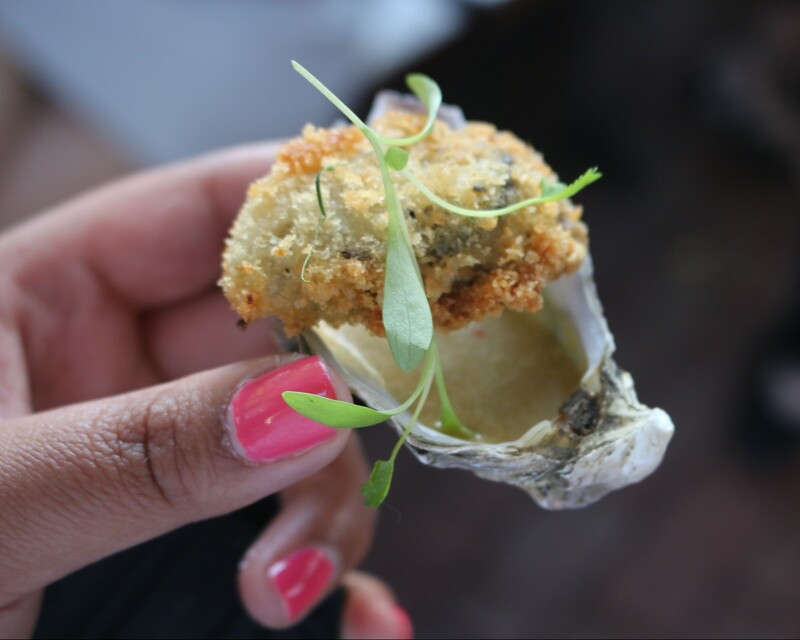 They had a light beautifully crunchy crumb with tiger’s milk, which had the oyster flavour with a bit of zest. Delish! The Flying Duck Hotel – Close up my fave! Here is a close up. Love! The chicken pasties had a light puff pastry and were accompanied by a mushroom sauce. 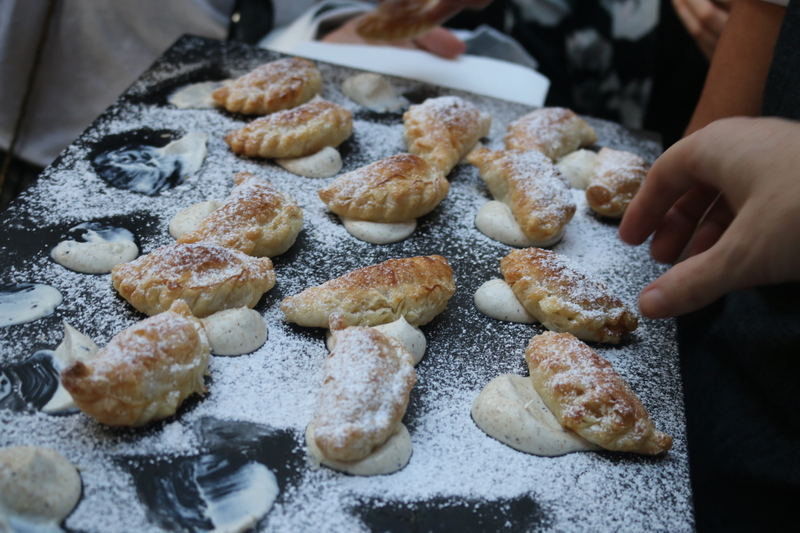 They were dusted with icing sugar, which made them a little sweet. 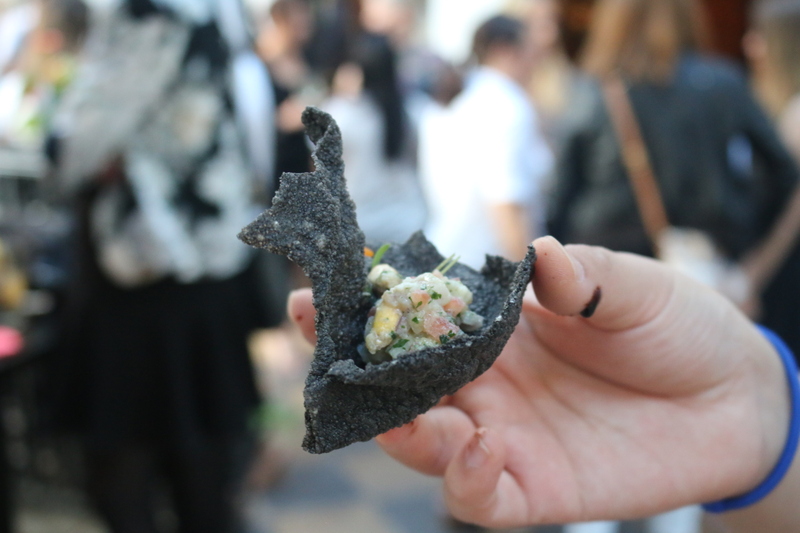 The kingfish ceviche was nice and zesty, sitting in a black rice cracker. 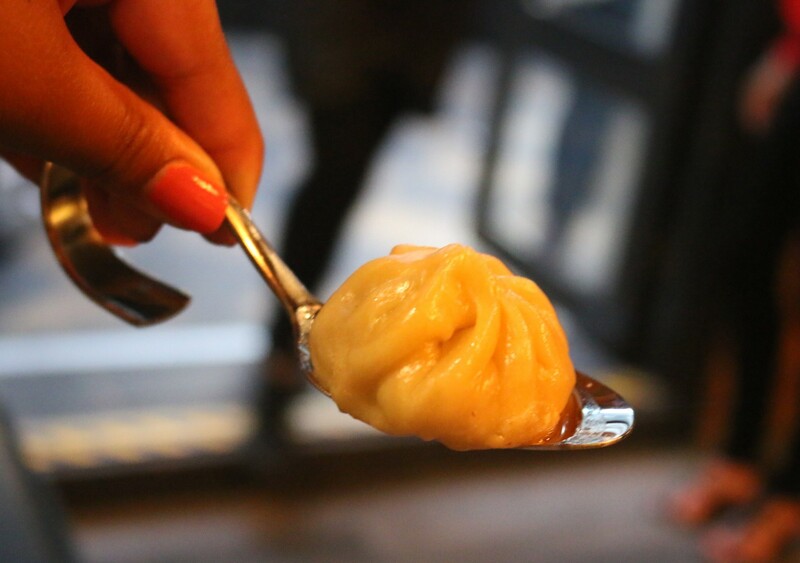 The dumplings had a thick skin pastry and were sitting in a spiced curry sauce. 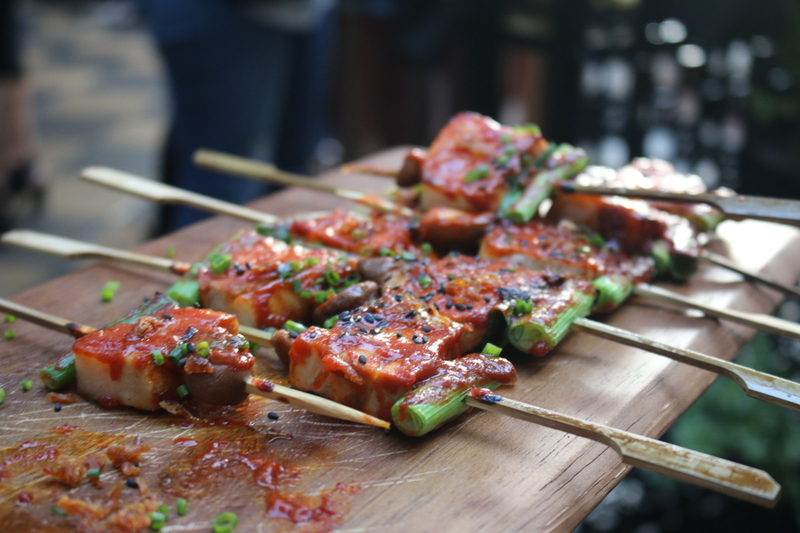 The pork belly skewers were tasty, they had a sticky marinade with spring onions. 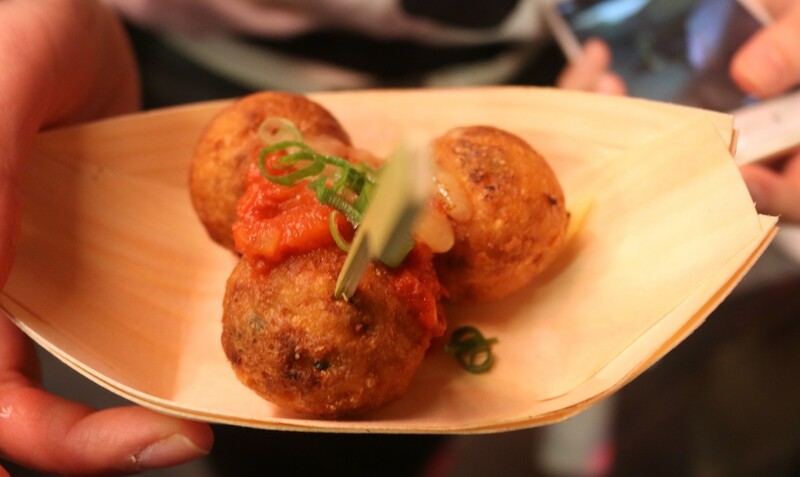 The semi dried tomato croquettes were full of flavour. 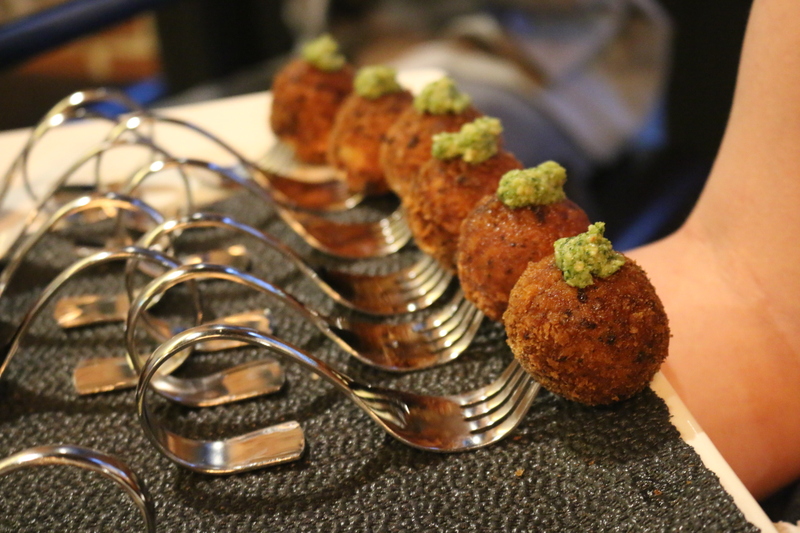 They were crunchy on the outside and soft and sort of like arancini in the middle. 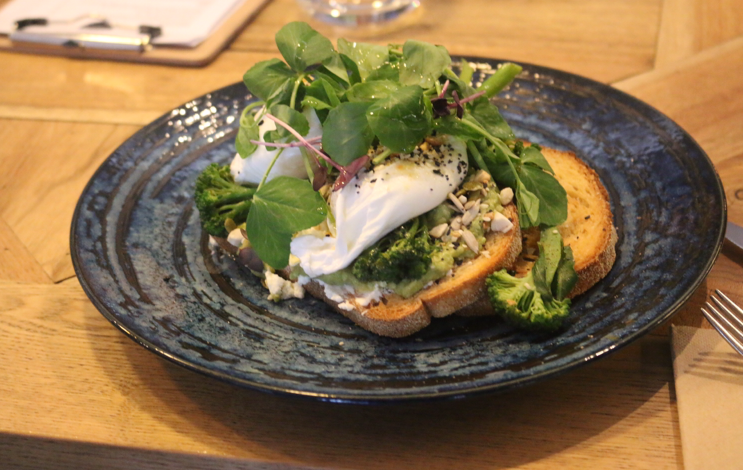 It had a spot of broccoli pesto on top. Tasty. 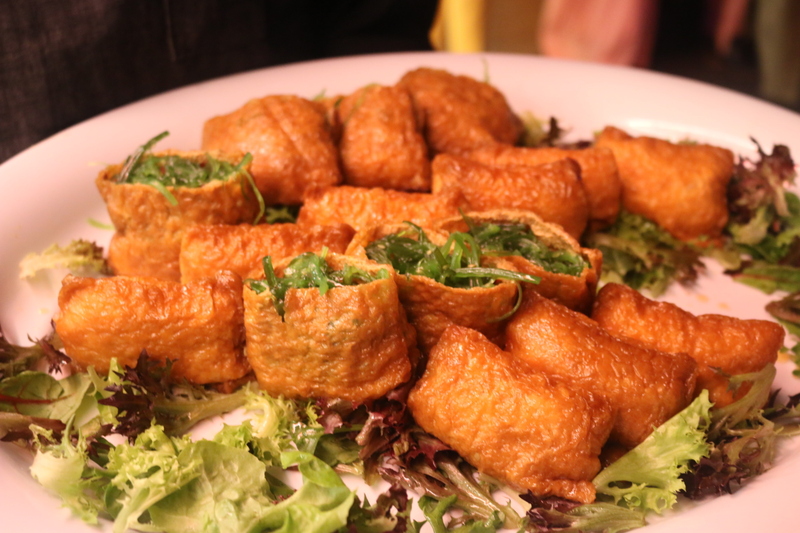 They had mini parmas, which were little strips of chicken in a tomato sauce wrapped in a lettuce leaf. I’ve never been able to eat a parma in two bites before so it was definitely a first. 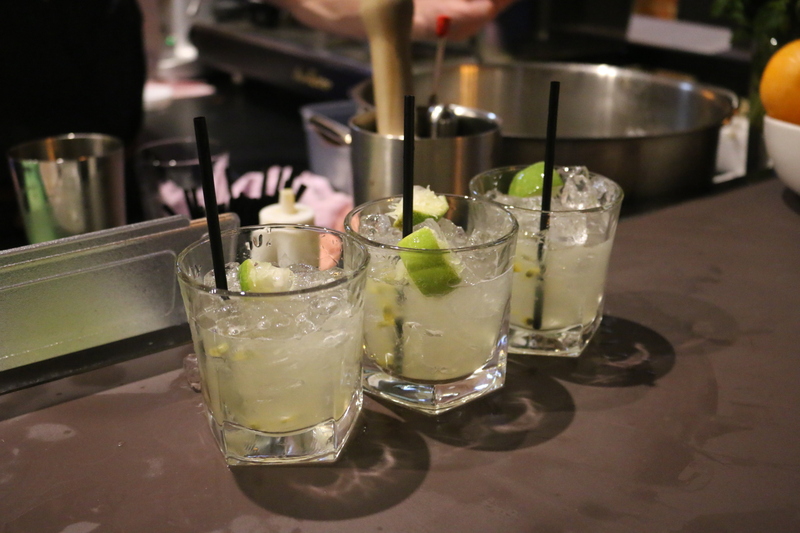 We had this passionfruit and lime cocoktail (the name escapes me) and it was delicious! 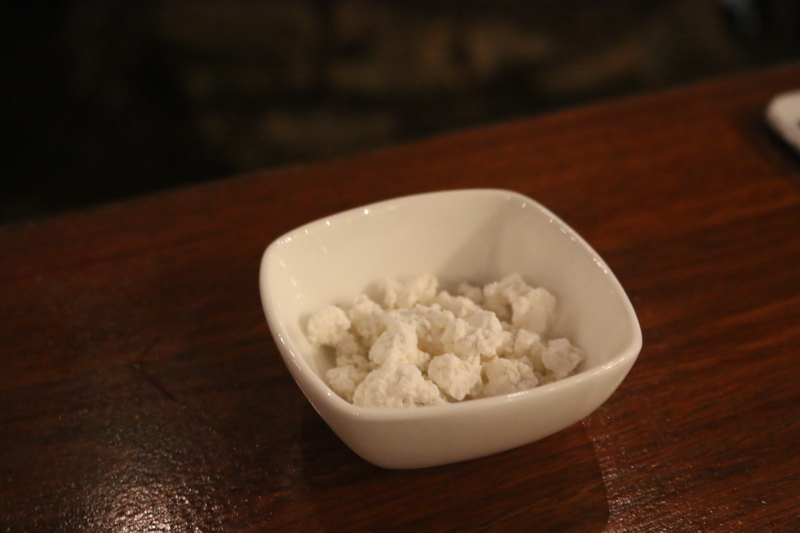 At the end of the night, the chefs were making nitrogen popcorn with honey and lavender. It looked like frozen popcorn and was incredibly light. 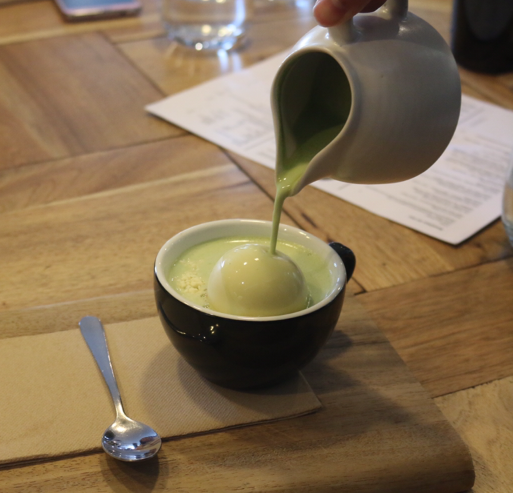 It was cold and had a subtle honey floral flavour amongst the creaminess. 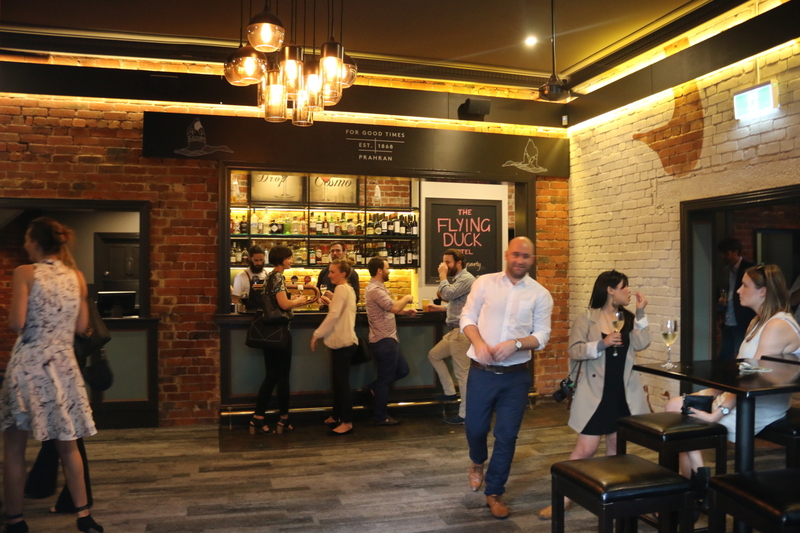 Summer is here and the flying duck hotel is a great place to gather some friends together for a tasty feed and some bevvies. I heart The Flying Duck Hotel! Note: Olive Sundays was invited as a guest to The Flying Duck Hotel.